Besides, running in an 'always-on-always-available' mode, clients expect a high degree of predictability in the operational aspect of their IT infrastructure. Embracing automation and open compute is the need of the hour to help realize high returns on mission-critical IT investments. Operational excellence and execution are the cornerstones of any successful enterprise. In the absence of appropriate services that drive operations, any business strategy will fail to yield best results. Our operations solutions take a comprehensive approach to ensure that the infrastructure of your enterprise IT operates as designed while continuously optimizing the output. Today, networks play a crucial role in connecting business applications with customers, partners, and employees. Without access to these applications, businesses cannot function as required. Today's enterprises demand a robust and secure network to drive collaboration, keep data secure, and remain agile. 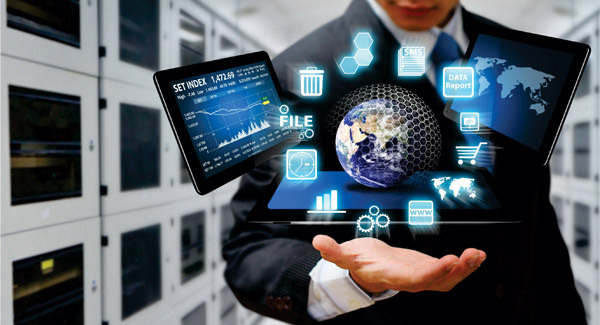 Security of enterprise assets and data is of utmost importance for any business. With threats growing at an exponential rate, enterprises are looking to move away from being reactive in their response to proactively managing threats. Today's security initiatives find prominence as enterprises embrace new technologies that help them stay ahead of the competition while reducing the cost of operations.